Birth-Place of Kalidasa By Pandit Anand Koul. Published in Journal of Indian History VII (1928). THERE can be no Indian who has not heard the name of the greatest dramatist and the most illustrious poet that India has ever produced, namely, Kalidasa. The great poet, Goethe, bestows unqualified praise on his works. The richness of creative fancy of this genius, his delicacy of sentiment and his keen appreciation of the beauties of Nature, combined with remarkable powers of elegant description, which are conspicuous throughout his works, rank Kalidasa as the prince among the Oriental poets. Kalidasa's fame rests chiefly on his dramas but he is also distinguished as an epic and a lyric poet, possessing great magic power and spell to entrance. He has written three plays - Shakuntala, Vikramorvasiya and Malavikagnimitra. He has also written two epic poems, entitled Raghuvansha and Kumarasambhava. His lyrical poems are Meghaduta and Ritusamhara. He carried ornateness to a pitch far beyond any poet's a pitch which deserves the epithet of 'exalted excellence'. He occupies a throne apart in the ideal and immortal kingdom of supreme creative art, poetical charm and dramatic genius. It is, by no means, improbable that there were three poets of this name; indeed, modern Indian astronomers are so convinced of the existence of a triad of authors of this name that they apply the term Kalidasa to designate the number 3. One Kalidasa was with King Bhoja of Malva at about the end of tenth century of Christian era, about whom it is said, that he had gone to Ceylon to see the king of that island named, Kumaradasa. This king was a good poet and had sent a copy of his own poem Janaki Harana as a present to King Bhoja. This poetic work had pleased Kalidasa very much and he became anxious to make a personal acquaintance with him. He went to Ceylon and there he was staying in an old woman's house. King Kumaradasa used to pay frequent visits to Matara and when he was there he always stayed in a certain beautiful house. During one of these visits he wrote two lines of unfinished poetry on the wall of the room where he had lived. Under it he wrote that the person who could finish this piece of poetry satisfactorily would receive a high reward from the king. Kalidasa happened to see these lines when he came to this house in Matara and he wrote two lines of splendid poetry under the unfinished lines of the king. He was In hopes that his friend king Kumaradasa would be well pleased with this and would recognize his friend's poetry. But the unfortunate poet had not the pleasure of getting either reward or praise from the king, because the authorship of this poem was claimed by a woman in the same house, who had seen that the poet Kalidasa had written these verses. She secretly murdered Kalidasa and claimed the reward, stating that the poem was her own. But nobody would believe that the woman could have written such poetry which could have only been the work of a real poet. The king, when he saw the lines of the poetry, said that nobody but his friend, Kalidasa, would be able to understand him so well and to complete in such an excellent way the poetry which he (the king) had written and he asked where Kalidasa was, so that he could hand over to him the promised reward. Nobody knew where he was and at last search was made everywhere and, to the great sorrow of everybody, his body, which had been hidden, was found. One can hardly imagine how sad King Kumaradasa was when he heard that Kalidasa had been murdered, for he had loved him so much both as poet and as friend. A very grand funeral pyre was erected and the king lit the pyre with his own hands. When he saw the body of his dear friend consumed by the flames, he lost his senses altogether through his great grief and, to the horror of all the people assembled, he threw himself on the funeral pyre and was burnt with his friend (see page 147 of Stories from the History of Ceylon by Mrs. Marie Musseus-Higgins). K. Kim tena madyam vina? V. Madyam, chapi tava a priyam bhavatah? V. Vesya (a)pyartha-ruchih, kutas tava dhanam? V. Dyuta-chaurya pardgraho (a)pi bhavatah? V. O mendicant, do you indulge in eating mutton ? K. What is the good of it without liquor ? V. Do you like liquor too ? V. A prostitute requires to be given money ; wherefrom do you get it? K. Either by gambling or stealing. V. Are you addicted to gambling and stealing too ? K. What other end may not a fallen person come to ? 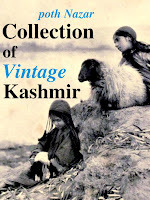 specially of the northern parts of Kashmir, or more definitely, the Sindhu Valley in Kashmir. (b) Feeling shown for, and patriotic references to, Kashmir. II. 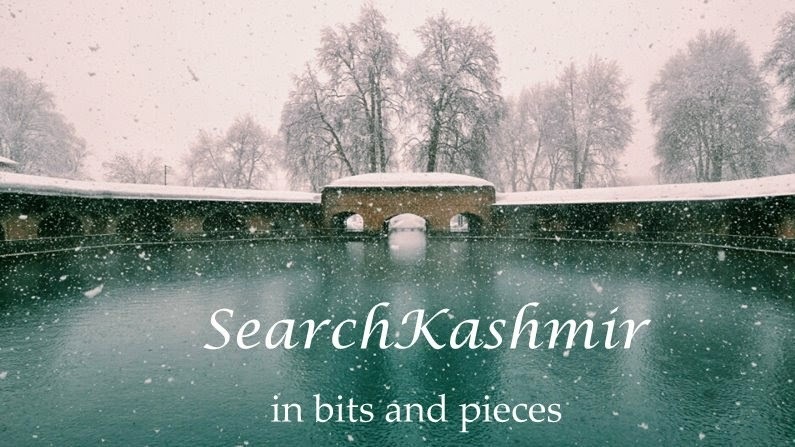 Unconscious and spontaneous references to scenes, sights and legends of Kashmir. miscellaneous matters as are preferably known only to the natives of Kashmir. days of Kalidasa, till after its popularization by Somananda in the ninth century A.D.
V. 'The argument of Meghaduta points to Kashmir as the home of Kalidasa. Matrigupta, who was appointed as king of Kashmir by Vikramaditya, is considered to be Kalidasa by Dr. Bhaudaji (see footnote on page 83 of Stein's Translation of the Rajatarangini). Matrigupta was no doubt, a poet, but he could not be identified with Kalidasa, because the latter was sent to Kashmir as king by Vikramaditya after only six months' attendance at his court and he left Kashmir after Vikramaditya was dead (see Stein's Translation of the Rajatarangini, page 95) ; while Kalidasa was with Vikramaditya at Ujjain for many years. There is a saying current among the Kashmiris - Kalidasas chhuh panani vizih wunnan (i.e., Kalidasa falls into darkness in his own case). Proverbs prove facts which are handed down from generation to generation. The above saying goes to prove that Kalidasa was a Kashmiri. Evidently it has reference to a certain indiscretion on his part in his lifetime which must have brought him into some sort of trouble. Among others Hindi writer Mohan Rakesh too seems to have believed that Kalidas had a Kashmiri touch. 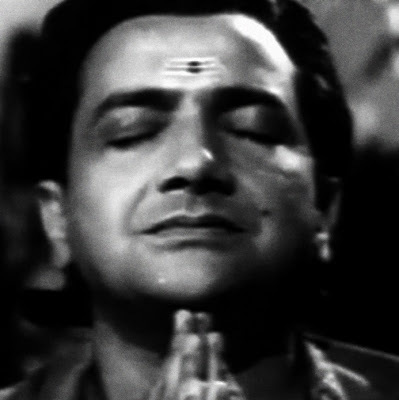 It comes across in his Ashadh Ka Ek Din (1958) based on Meghaduta (made into a film by Mani Kaul). Alternative title for the post: Did Kalidas ghost-wrote the 'Jai-tries-to-not-talk-Mausi-ji-into-offering-Basanti's-hand-to-his-best-buddy-Veeru' scene from Sholay? Thanks for that interesting info. !